Buyers who save money by choosing the base 2017 VW e-Golf SE trim level should pay for the optional DC fast-charging capability—and probably the 7.2-kw charger too—which will make the car more flexible in unexpected situations and boost resale value. Now in its third year, the 2017 Volkswagen e-Golf is the first and so far only all-electric VW offered in the U.S. and Canada. Even owners will have to look twice to realize that it's a different version of the seventh-generation Golf hatchback, powered by a battery and electric motor, rather than a gasoline engine. 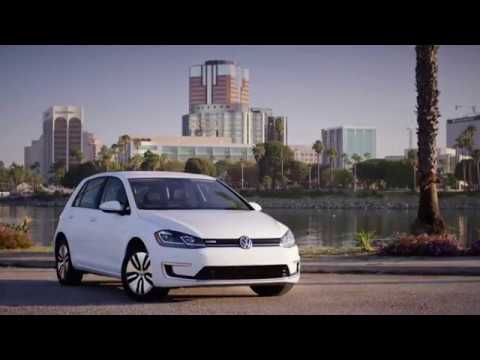 VW's battery-electric model comes in two trim levels: the base e-Golf SE, and the better-equipped SEL Premium. 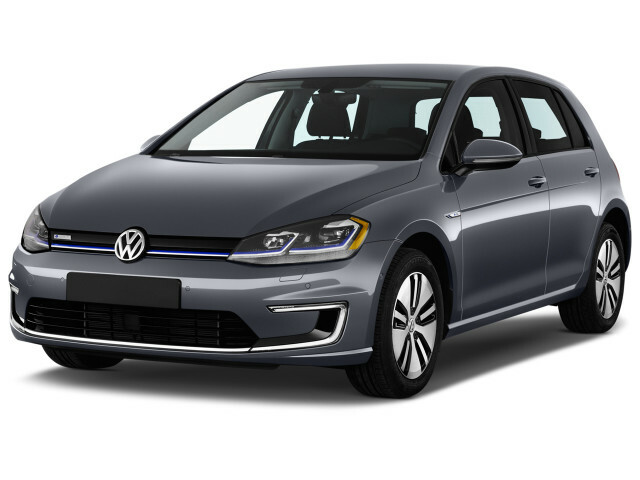 Its strong similarity to any other current Golf decisively separates the e-Golf from the Nissan Leaf, by far the highest-volume electric car ever sold, with sales closing in on more than 250,000 units as of mid-2016. The two cars compete directly—at least in those regions where VW offers the e-Golf. 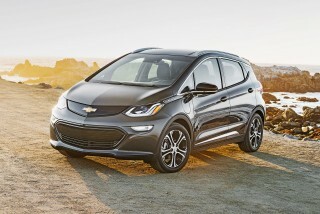 Other all-electric five-door compact hatchbacks this year include the BMW i3, Chevrolet Bolt EV, and the Hyundai Ioniq Electric, along with the lower-volume Ford Focus Electric and Mercedes-Benz B-Class Electric Drive. The 2017 e-Golf's range is substantially improved over previous versions. This year, VW says the e-Golf will travel up top 124 miles on a charge. 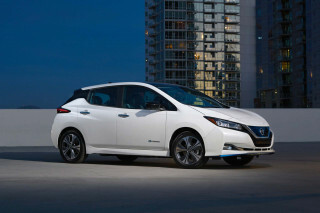 When it launched in 2015, it pretty much duplicated the technical specifications of that year's Leaf. But the 2016 Leaf got a battery capacity boost that gave it a rated 107 miles of range—up from 84 miles—which made the e-Golf's 83 miles less competitive that year. Now its range matches that of the 2017 Hyundai Ioniq, and exceeds the ratings for this year's BMW i3 (114 miles) and Nissan Leaf (107 miles). The e-Golf would still need more range to be truly competitive against the 238-mile Bolt EV, however. The current Golf was designed from the outset to accommodate the electric powertrain that turns it into an e-Golf, and the integration is seamless. Drivers not attuned to their cars' operation may not not even notice that an e-Golf has no engine—except, of course, that it runs more quietly, more smoothly, and a little more heavily in its roadholding than its gasoline counterparts. We can't vouch for its crash-test ratings with such a large variable as its heavy, structurally significant battery pack. For 2017, the VW e-Golf gets a rating of 6.4. (Read more about how we rate cars.) 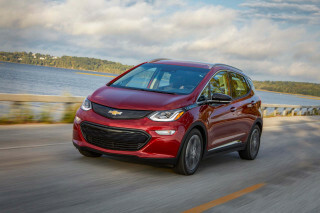 It remains a good electric car and enjoyable behind the wheel, especially for those who are content to be stealth drivers of zero-emission vehicles. In terms of design, the 2017 e-Golf is—well, it's a Golf, both in its exterior lines and its cabin decor. It remains the same conservatively styled, crisp-edged five-door hatchback that Golfs have been for 40 years now, all the way back to the first Golf/Rabbit in the mid-1970s. The inside is straightforward, sensible, and all but identical to any other Golf—and the new generation has finally added an in-dash touchscreen display. Volkswagen estimates the 2017 e-Golf's range at 124 miles now. The 35.8-kwh lithium-ion battery pack now has a capacity of 35.8 kilowatt-hours, 50 percent larger than the previous years' 24.2 kwh. 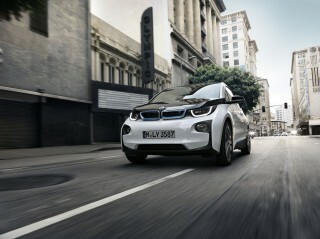 That battery powers a 100-kw (134-horsepower) electric motor that drives the front wheels, also a boost from the previous 86 kw (115 hp). Like the Leaf, VW does not actively heat or cool its pack; it sheds heat only by radiating it into the surrounding air. One additional electric-car specification: This year, all models can charge at up to 7.2 kw, meaning it finishes recharging slightly quicker than the Leaf with its 6.6-kw charger. As for DC quick-charging, which can recharge a battery to about 80 percent of capacity in half an hour, the VW e-Golf offers the Combined Charging System (CCS) standard. While CCS charging stations are expanding quickly, Golf buyers will still want to use such mobile-phone apps as PlugShare to learn where they can fast-charge. 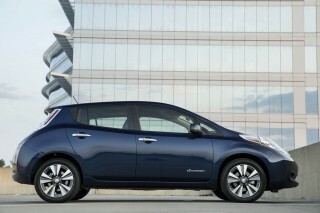 That DC fast-charging port is standard on the SEL Premium model and optional on the SE base model. Like any other Golf, the electric model has comfortable front seats and a larger rear compartment for passengers than before. While its 17-cubic-foot cargo volume is decent for a compact hatchback, it's still considerably less than the Leaf's 24 cubic feet. Our test cars have appeared to be well-built; it's notable that the e-Golf is the sole version of the entire lineup sold in North America that's still built in Germany. All other Golfs come from the Mexican assembly plant that has long built Jetta sedans. Behind the wheel, the e-Golf offers the same driving characteristics as the 4-cylinder Golf models, though the suspension has been retuned for the added weight of the battery pack. With that weight largely at the car's lowest point, the e-Golf corners flat and feels very stable under any circumstance. 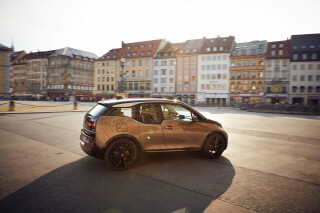 Its roadholding and handling clearly differentiate the electric Golf from the Nissan Leaf, which is numb in most cases and only average at best. In terms of safety, neither the IIHS nor the NHTSA has rated the e-Golf separately from other Golf versions. The IIHS dubbed the regular Golf a 2017 Top Safety Pick, with its highest rating of "Good" on every test and all the requisite electronic safety systems standard or optional. The federal agency gave the gas Golf five stars overall in crash safety, with a mix of four- and five-star ratings on individual crash tests. However, the heavy battery pack could conceivably alter crash-test scores enough to matter. We've decided to leave the safety score off until there's data to support a conclusion. 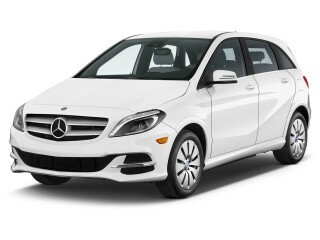 A Driver Assistance package, including forward-collision warning, automatic emergency braking, and parking assist features, is offered only on the top-level SEL Premium model. The two trim levels established in 2016 continue largely unchanged for 2017. The base e-Golf is the SE, which at around $30,000—exactly in line with the base Nissan Leaf S. The top SEL Premium model, with quite a lot of added feature content, is about $6,500 higher. The VW e-Golf was launched only in 10 Northeast and West Coast states, although the company says it will expand distribution in future. The e-Golf SE does not come with DC fast-charging as standard equipment. Volkswagen offers that capability as an extra-cost options on the SE, though it's standard on the SEL Premium. Last year, both trim levels received Volkswagen's new MIB II infotainment system, although the SEL Premium's 8.0-inch touchscreen is replaced by a 6.5-inch screen in the SE. Looking for a different year of the Volkswagen e-Golf?